Alpenrose Dairy has been family owned and operated since 1916. For over 100 years, the Cadonau family has been committed to bringing customers the finest milk nature can provide. 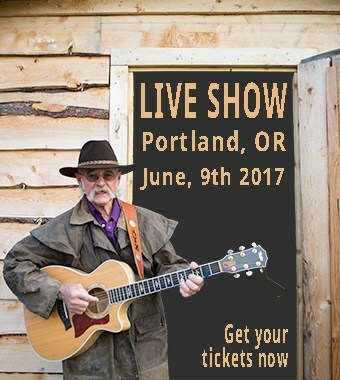 Portland, OR, June 1, 2017	(Newswire.com) - Atz Kilcher, beloved Alaskan storyteller, singer/songwriter, and yodeler, whose family is the subject of Discovery Channel's "Alaska: The Last Frontier," will be performing Friday, June 9th, at Alpenrose Dairy Opera House. He will be singing original folk songs, sharing his authentic blend of storytelling and humor, accompanied by rare footage of his family’s early days as homesteaders. Kilcher is the father of famed singer/songwriter Jewel, who will be in town June 10 performing at McMenamins Edgefield Amphitheater. Given the Swiss roots of the Kilcher family and the Cadonaus, founders of Alpenrose Dairy, the opera house seems like a perfectly suited venue for Kilcher’s upcoming one-night-only appearance. For more information about Atz Kilcher: www.AtzKilcher.com. Kilcher’s mother, Ruth, was a blossoming opera singer when she left Switzerland to join his father, Yule, and help him homestead several hundred acres of unspoiled land in Southeast Alaska. He was raised alongside seven siblings in a tiny cabin in the remote Alaskan wilderness. Later, Atz raised his own children on that same homestead. Today, he is proud to have passed along his family’s musical legacy to his own four children. Alpenrose Dairy has been family-owned and operated since 1916. For over 100 years, the Cadonau family has been committed to bringing customers the finest milk nature can provide. All Alpenrose products are locally farmed with no added rBST hormones and pasteurized at lower temperatures to keep natural vitamins and minerals intact. Alpenrose is committed to sustainable agriculture and bringing fresh, wholesome products to their customers. The Cadonau family is known throughout the Northwest for their commitment to the community. Providing year-round family-friendly activities at their legendary 52-acre campus with a stadium for little league games, a museum, opera house, and velodrome track. Sign up for email updates from Alpenrose Dairy.